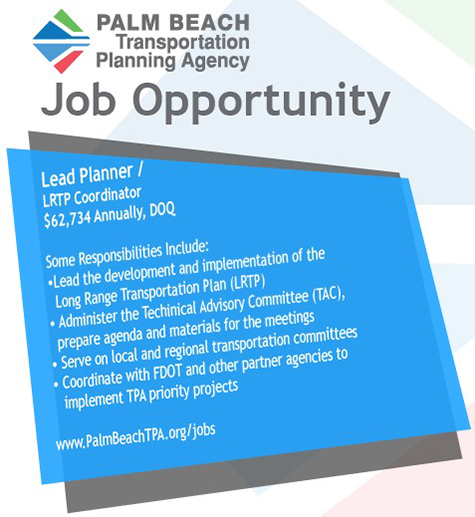 The Palm Beach TPA will train local government and private sector representatives at an ADA transition plans workshop on Oct. 11. The instructor will be Dean Perkins, Florida Dept. of Transportation's ADA Coordinator. The time will be 8:30 AM to 12:30 PM, and the location will be on the first floor of the Vista Center at 2300 N. Jog Rd., West Palm Beach, FL 33411. Even those who have not pre-registered are welcome to attend. 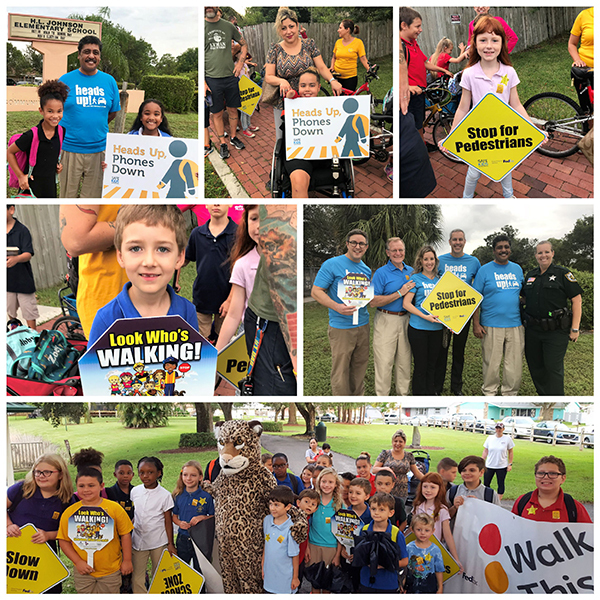 Wearing shirts with safety messages for drivers and walkers, Palm Beach TPA Governing Board members and staff participated in the 22nd annual national Walk to School Day event at H.L. 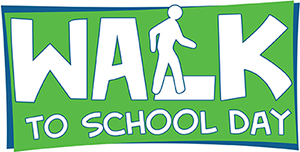 Johnson Elementary School in Royal Palm Beach on Oct. 10, 2018. 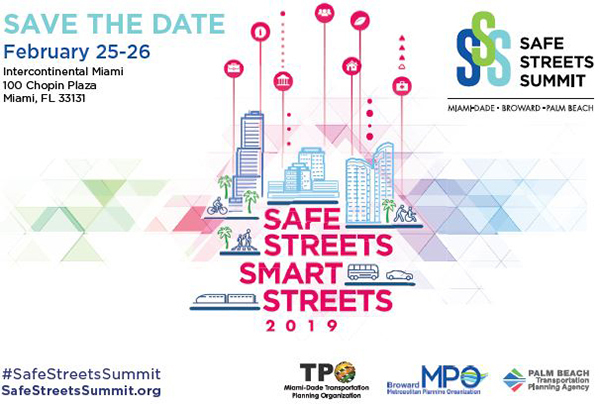 Participants included Royal Palm Beach Mayor Fred Pinto, a TPA Governing Board representative, and Council Member Jeff Hmara, a TPA Alternate.